Around 60 members of the public attended the one-off event to hear about the ground-breaking studies which ran from 2009 to 2014 and looked into beaver behaviour, survival and ecological impact. Talks were given by scientists from Scotland’s Rural College (SRUC), University of Oxford, James Hutton Institute and University of Stirling. SRUC’s Applied Economist Dominic Moran carried out research into the socio-economic effects of the reintroduction of beavers in the local area – which included monitoring job creation, local business activity and changing visitor patterns to the area. During his presentation Dominic outlined the positive and negative impacts felt in the area, with benefits including increased spending by visitors, increased turnover by local businesses, educational visits, media coverage and time spent volunteering on the project. Some of the drawbacks identified were a reduced timber harvest, roads and other infrastructure costs, potential impacts on fisheries and administrative costs. 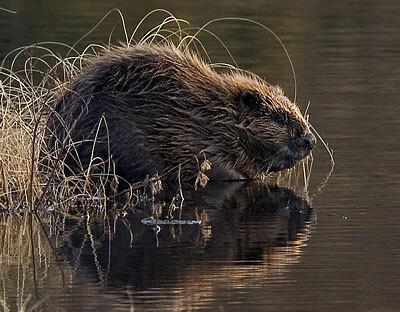 SNH led the five-year trial which saw beavers released in May 2009 by the Scottish Wildlife Trust and the Royal Zoological Society of Scotland on to land managed by Forestry Commission Scotland. The evidence gathered from the independent scientific monitoring of the trial release will soon inform a government decision on a general release of beavers in Scotland. Photo courtesy of Per Harald Olsen (wikimedia).